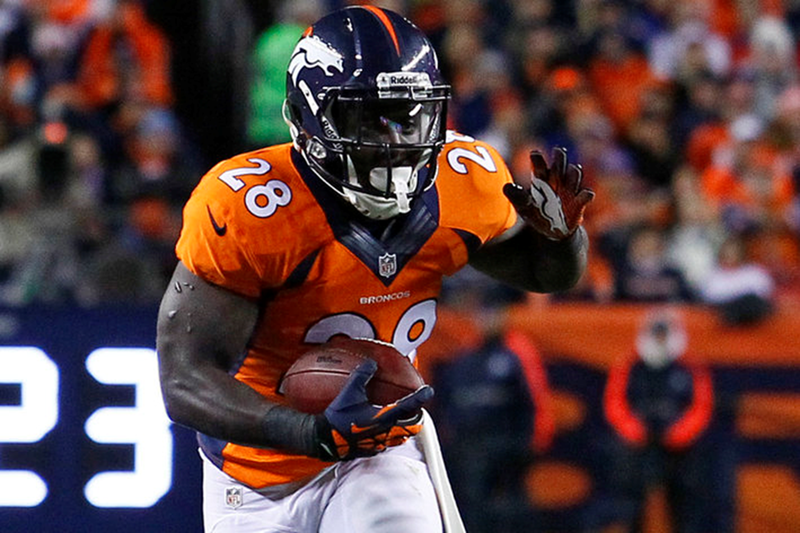 The Denver Broncos have been slowly easing rookie running back Montee Ball into their offense this season. 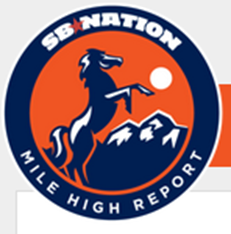 Knowshon Moreno, the team's most experienced runner and best blocker, has been the starter, but Ball has begun to chip away at goal line carries as Moreno's regular relief back. It makes sense for the team to give Ball goal line carries—the 5'10", 215-pound running back set NCAA records while at Wisconsin, rushing for 77 touchdowns as a Badger. Over the past three weeks, Ball has received 25 carries, scoring three touchdowns. On Sunday night against the Kansas City Chiefs, Ball rushed eight times for 25 yards and two scores, adding three receptions for 16 more yards. If he continues to steal carries—especially in the redzone—from Moreno, his fantasy football status will continue to rise. For now, considering Ball a risky flex option with the potential to mold into a No. 2 fantasy running back. 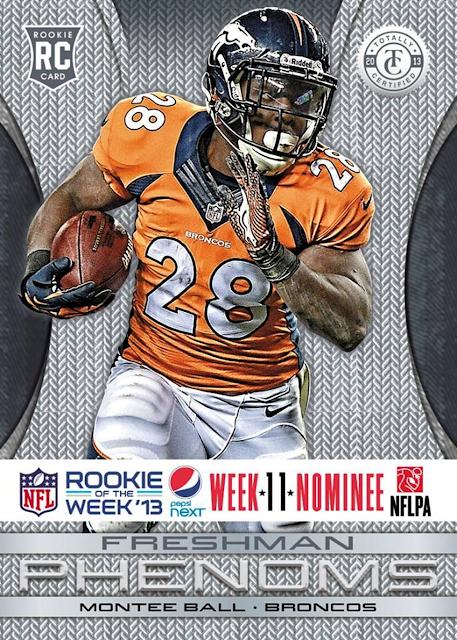 Ball's performance in Week 11 got him nominated for the Pepsi Rookie of the Week award on NFL.com. Voting is open until Friday. Up against three quarterbacks and defensive end David Bass in the voting, Ball has a slim chance of taking home the ROW award this time around. But if he continues to take advantage of the opportunities Denver's coaching staff has given him, we expect to see Ball's stock rise considerably in the second half of the season.